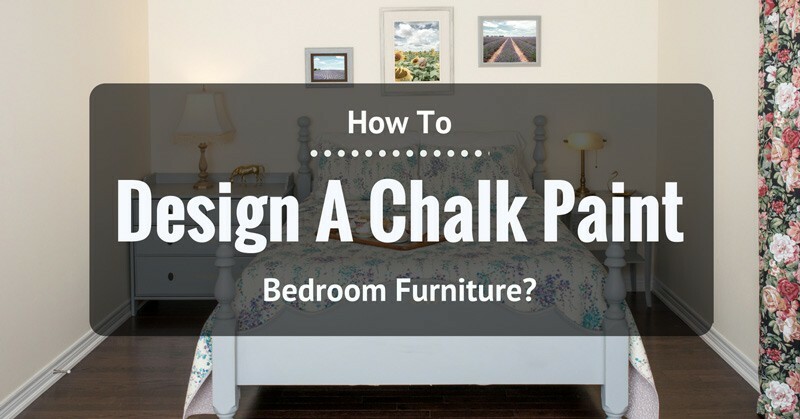 Decorating your walls is a fun and unique way to personalize your room. If you have a knack for artistic drawing and compositions, then this DIY home project will allow you to let your creative juices flow. 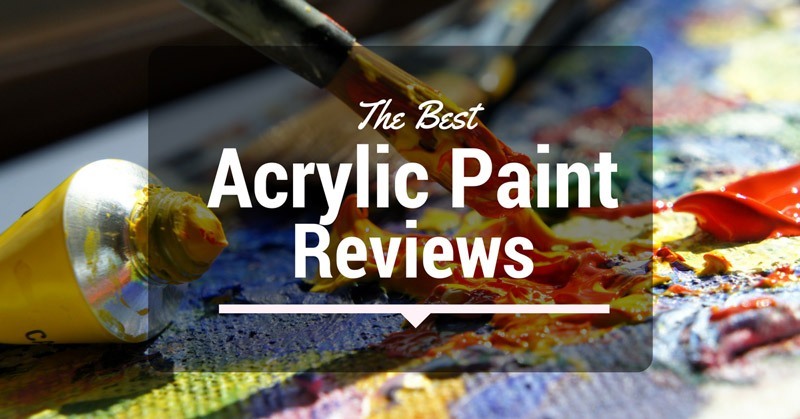 The first thing you need to do is to make sure you pick the best acrylic paint for your project. Choosing the right kind of paint for your walls isn’t just about selecting the color. 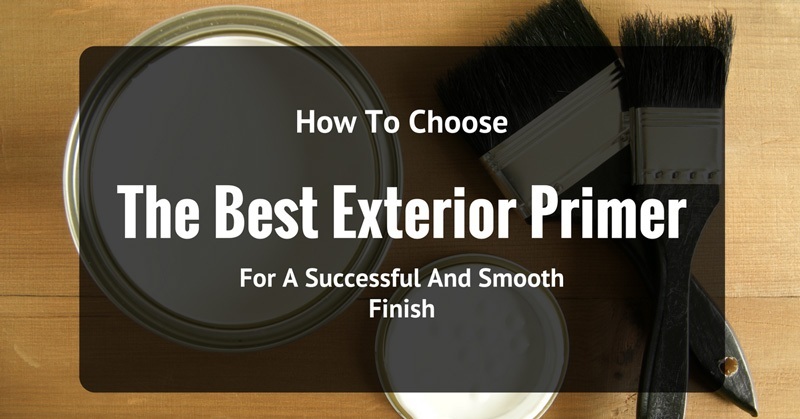 Keep in mind that aside from the aesthetic value, the quality and consistency of your paint plays a crucial role in achieving a polished and professional look. We’ve rounded up five acrylic paints that we think can help you decide which one will work on your wall design. 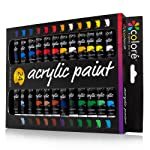 The Colore Acrylic Paint Set is a multi-purpose kit that can be used in most surfaces including fabric, wood, paper, walls, and other materials. This makes it versatile enough to use for your DIY home projects or arts and crafts. You can even teach your kids how to paint with this easy to use paint set. This acrylic paint produces a water-based and non-toxic material for a durable finish. The paint has a nice consistency, dries quickly, and stays on the brush making it easy to work with. It doesn’t drip on your canvas while you’re painting. The set comes in 24 colors and has a wide array of hues to choose from so you won’t run out of ideas for your décor. Plus, it produces a vivid color which makes your design pop out. The colors blend well and the paint is easy to dilute. It produces a smooth finish. The kit comes in an attractive packaging. Each color is sealed in a tube. You can squeeze the tube to get out as much paint as you need. The paint tubes are smaller than I expected. The consistency of the paint in some tubes appear thin and transparent. The Colore Acrylic Paint is versatile and can be used by both beginners and professionals. It is a fun starter kit to introduce your kids to the world of art. Although the tubes are small, the quality makes up for it. The Crafts 4 All Paint is a great way to unleash your creative juices. This paint mixes easily with other tones to produce rich, vibrant and pigmented shades. It has a thick consistency and produces a smooth satin finish which makes any piece of work look like a piece of art. It comes in a variety of 24 beautiful colors and a bonus set of quality brushes that comes in different styles and sizes. This makes it more convenient so that you won’t have to buy a separate set of brushes. The paint provides good coverage. Once you mix it with water it produces a softer watercolor appearance. The colors are bold and vibrant which show well through even when painted on different surfaces. 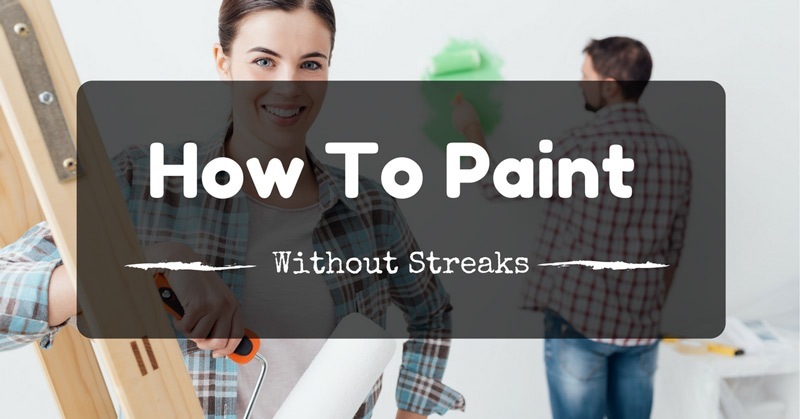 The paint dries easily and is easy to clean up with just soap and water. The packaging is small which gives your roughly a teaspoon of paint in each tube. The tubes is quite airy which leaves a small amount of paint inside. Once the paint dries out, the effect appears in a dull matte finish. Some of the paint consistency produces a chunky and watery effect which makes it inconsistent. 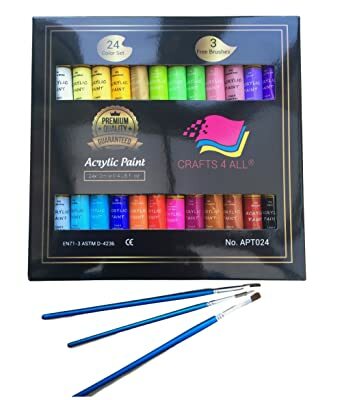 The Crafts 4 All Paint Set is designed for all ages. It is suitable for novice or intermediate artists who are passionate in creating unique designs. The kit provides more value especially since it comes with a brush set. 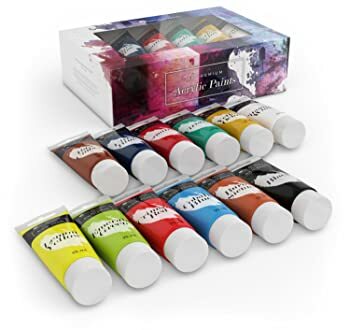 This paint set is affordable for its price. However, some tubes may tend to be a little inconsistent when it comes to quality. The Creative Joy Acrylic Paint and Brush Set comes in 12 vivid colors and a set of brushes for your convenience. It’s a great way to learn and practice shading, detailing, and outlining your artworks. The soft bristled brushes are easy to maintain and clean. Most products in this price point doesn’t usually come with brushes which is why the set of brushes is a great bonus. It is designed with an easy handle grip which is comfortable for both small and large hands. The brush set has different designs which allow you to create different textures and strokes with it. The paint gives off a smooth and creamy effect. Plus, it dries out easily which makes it quicker for you to apply a second coating if needed. The colors are bright and vivid. 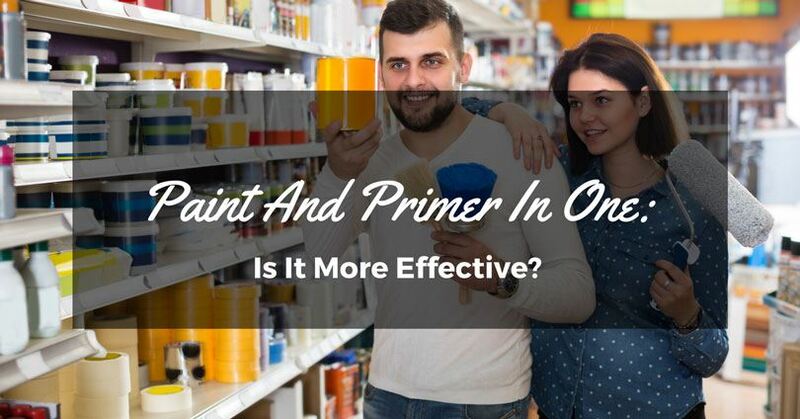 The coverage depends on what type of surface you are painting on. Some will only require one coating. Although the set comes with brushes, the materials lack quality and doesn’t last too long. Don’t expect much from this. It doesn’t provide enough coverage for plastic surfaces. Instead, it appears sticky. 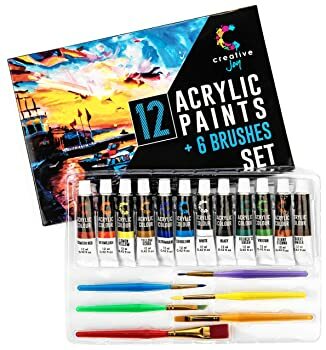 The Creative Joy Acrylic Paint and Brush Set is suitable for beginners and hobbyists. It produces vibrant colors and comes with a set of brushes which is great for manipulating the texture and dimensions of your artwork. However, do not expect much from the quality of the brushes. It won’t last you long. The Castle Art Supplies Acrylic Paint Set comes in 12 big 75ml paint tubes so that you can squeeze in more paint for your artworks. Some paints dry off easily even before you finish your touch-up, this paint provides just enough drying time to balance your work. Most acrylic tubes are small which makes this paint set more worthwhile. The colors mix well. It goes over any surface smoothly and the paint doesn’t run down your canvas. This makes it easier to work with. The paint has the right amount of consistency. It isn’t too thick not too thin which makes painting smooth and easy. The colors appear too sheen in when painted over some surfaces. Some of the paint consistency appears to be thin which produces a dramatic color shift once the paint dries off. The Castle Art Supplies Acrylic Paint Set can be used by beginners and professionals. It provides a variety of color choices that produce vibrant shades in your décor. The Royal Art Supplies Acrylic Paint Set is flexible and can be used for various types of surfaces. Aside from using it on your wall art, it provides great and smooth coverage for glass, ceramic, fabric, canvas, paper, wood, and other painting surfaces. The set comes with 12 vibrant colors that works great when blended together. You can create new tones for a customized design. The paint dries off smoothly and evenly. It doesn’t crack once the paint dries which gives your artwork a beautiful finish. The colors are very rich in hues which make any artwork come to life. Just add water to create different textures and hues on your design. It is very affordable for its price point. 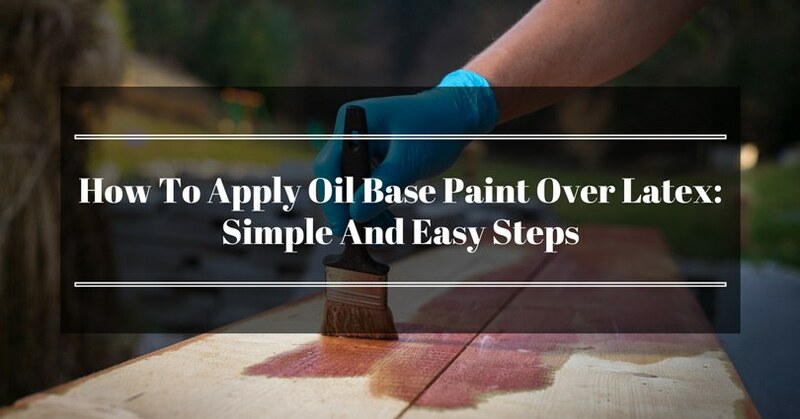 The pain consistency appears a bit thick which requires you to make sure that your paint glides on smoothly as possible to avoid clumps. Since the tubes are small, you may easily run out of paint if you are working on a big project. 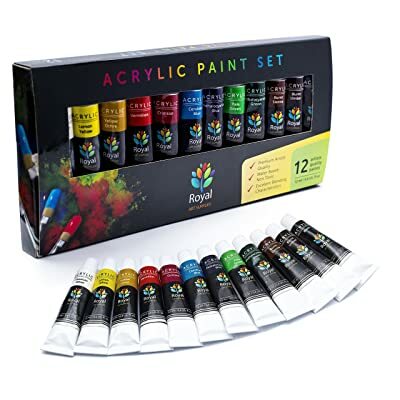 The Royal Art Supplies Acrylic Paint Set is a great starter kit especially for people who want to learn how to create artworks using acrylic paint. There are various types of acrylic paint with different quality, sheens, textures, and colors. Acrylic paint is a quick drying and water soluble material which becomes water resistant once it dries. Acrylic paints are made from pigments that have been suspended in acrylic polymer emulsion. They vary in gloss, matte or semi-matte finishing which is also referred to as satin sheen. Acrylics also have numerous benefits when it comes to painting your walls with it. It can be used for various surfaces – This saves you a couple of bucks especially since it is versatile enough to use for walls, wood, glass, ceramic, fabric, canvas, paper, and other surfaces. 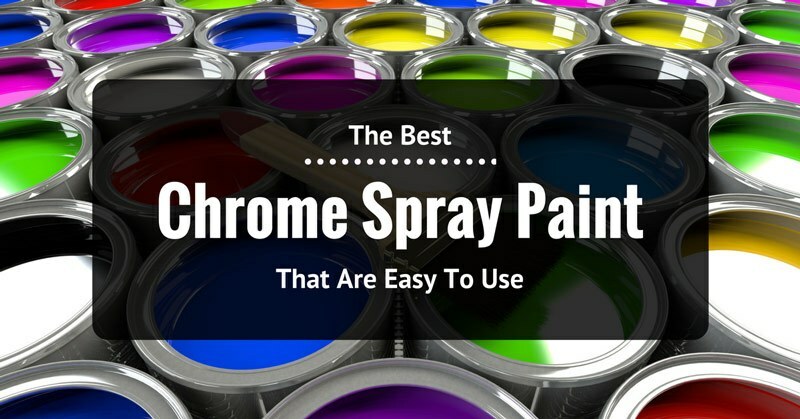 You don’t have to buy a separate type of paint. 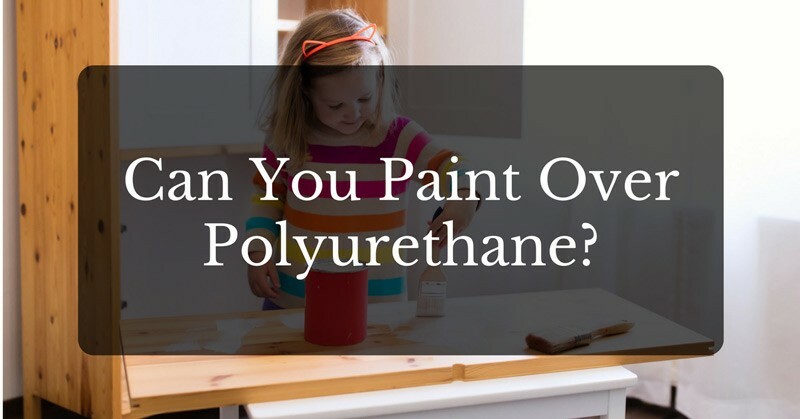 It is resistant to cracking or splitting – The paint material is flexible and can expand or contract without cracking or splitting when exposed to varying temperatures. Keep in mind that cracks or splits in the paint will enable water to creep in the paint film which eventually will lead to peeling. 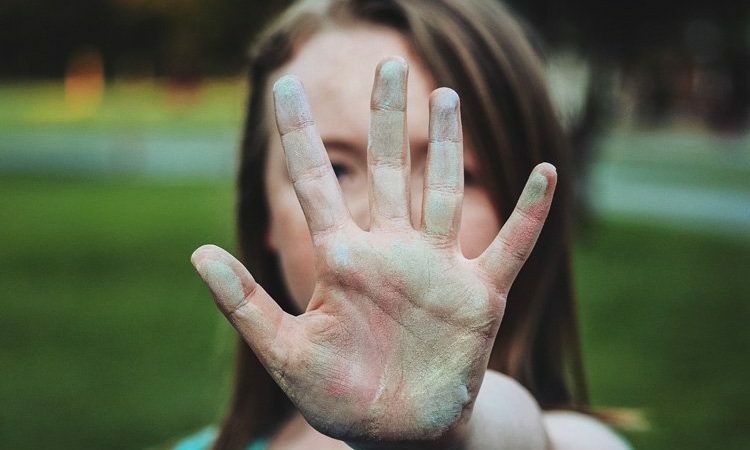 It is easier to touch up – If your surface is properly primed, it provides a strong adhesion which makes it suitable for different types of surfaces. It doesn’t display any shadows or variance in the sheen. In case you make an error in your brushstroke, you can easily clean it up with soap and water. It is more breathable and quick drying – Since it doesn’t trap in moisture, it won’t cause the paint to lose adhesion or blister. It dries quickly which saves you more time since you can apply your second coating sooner compared to other types of paint. It is easy to dilute – Just add water to soften up your paint. It doesn’t require the use of special paint thinners. Based on the five best acrylic paint reviews, we strongly recommend one of the bestsellers, The Creative Joy Acrylic Paint and Brush Set. 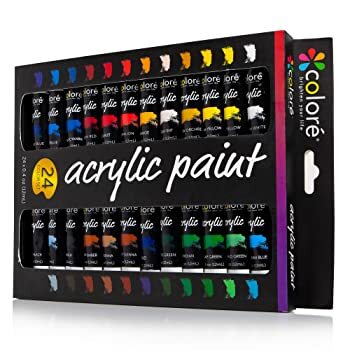 In comparison to the other brands, this acrylic paint provides you value for your money. It provides good coverage, produces vibrant hues and colors that you can mix and blend easily together, and comes with 6 pieces of brushes to help you create more textures and dimensions. In addition to the other benefits, you can also use it on various DIY home projects. 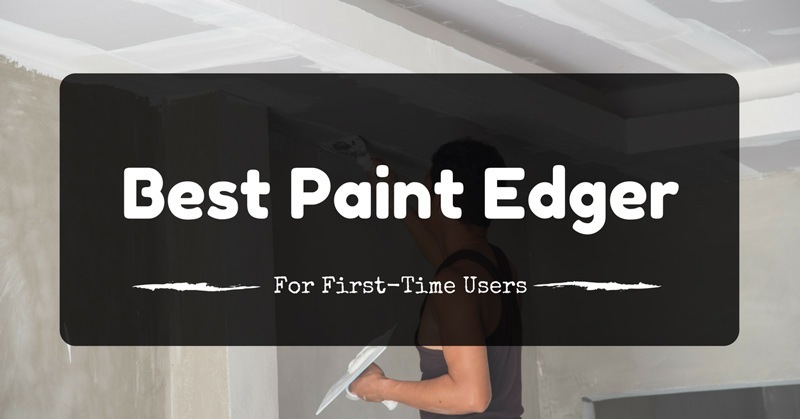 This is a great choice for both beginners and experienced painters. The Creative Joy Acrylic Paint can help you create beautiful pieces of artwork on your walls. Whether you are working on your children’s bedroom or your living room, this acrylic paint provides high-quality materials that can make your art piece look professionally made.